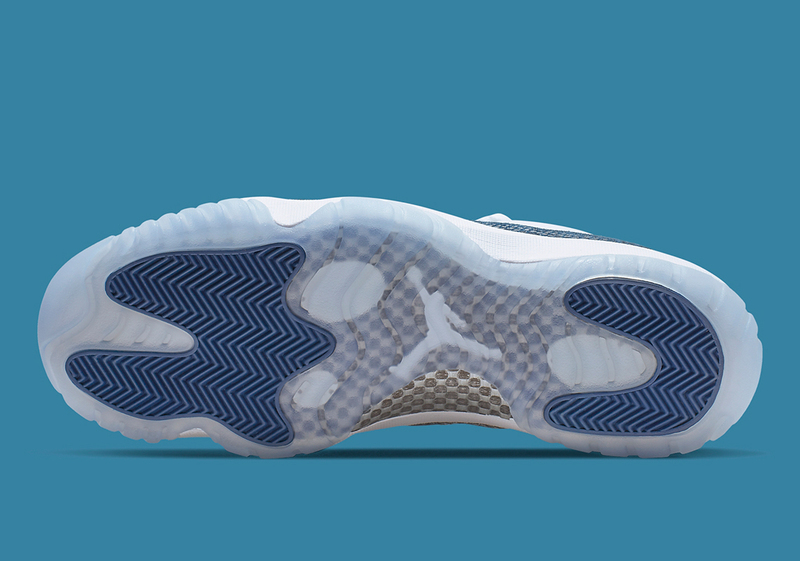 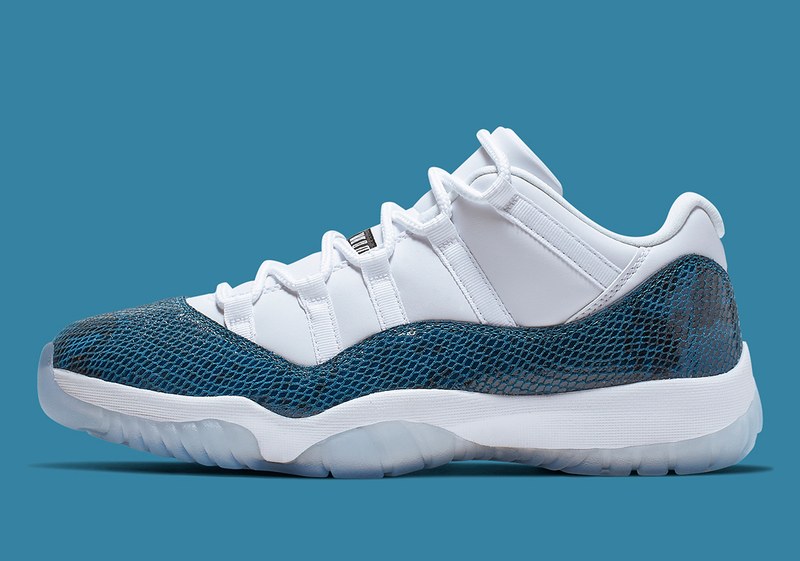 Among all of Jordan Brand’s low-top takes on MJ’s iconic signature models, the Air Jordan 11 Low may very well be the most popular. 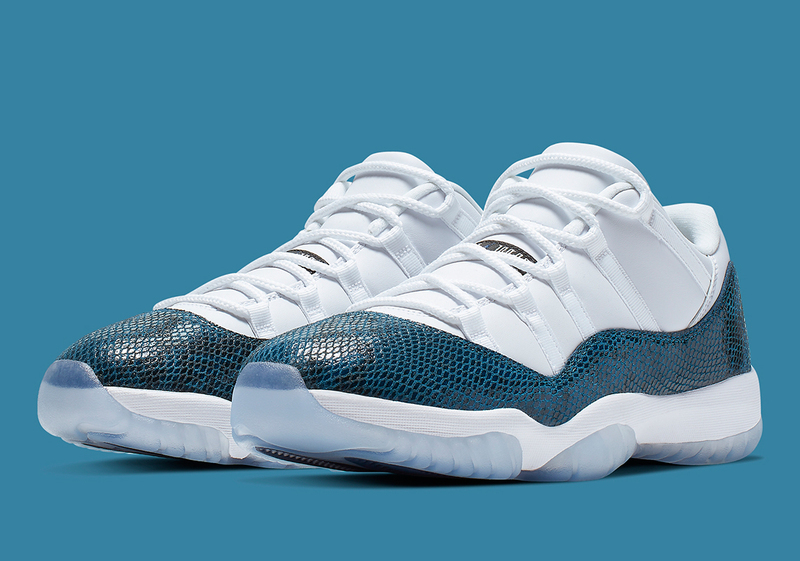 Providing all the premium feel and memorable detailing of their high-top counterparts sans the above-ankle collar, the 11 Low certainly boasts a fervent following of its own, and those fans are sure to be enthralled by the lovingly remastered Air Jordan 11 Low “Snakeskin.” First released all the way back in 2001, the reptilian sneaker takes the 11’s signature mudguard and ramps its already-premium feel up another notch by dressing it in a scaly, textured, blue-and-black patterned material. 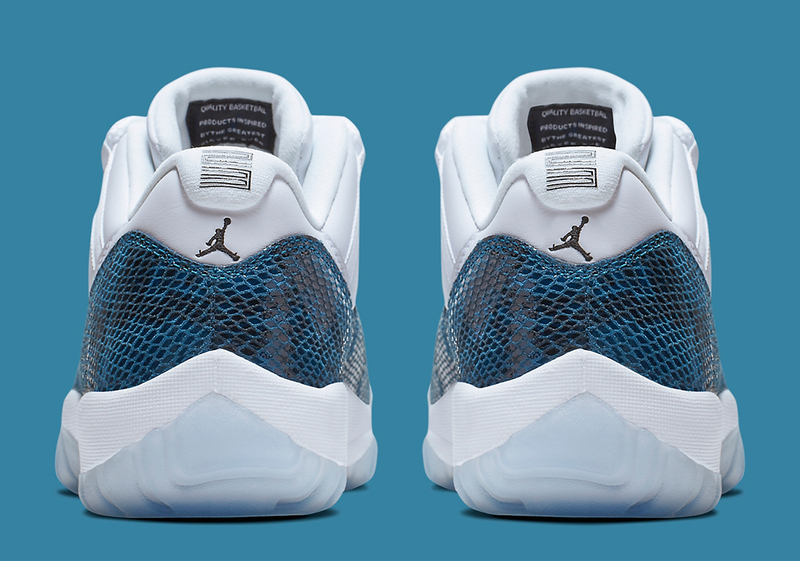 The rest of the shoe keeps things elegant with a white leather upper, white midsole, and icy blue translucent outsole, ensuring that all attention remains fixated on the signature serpentine stylings. 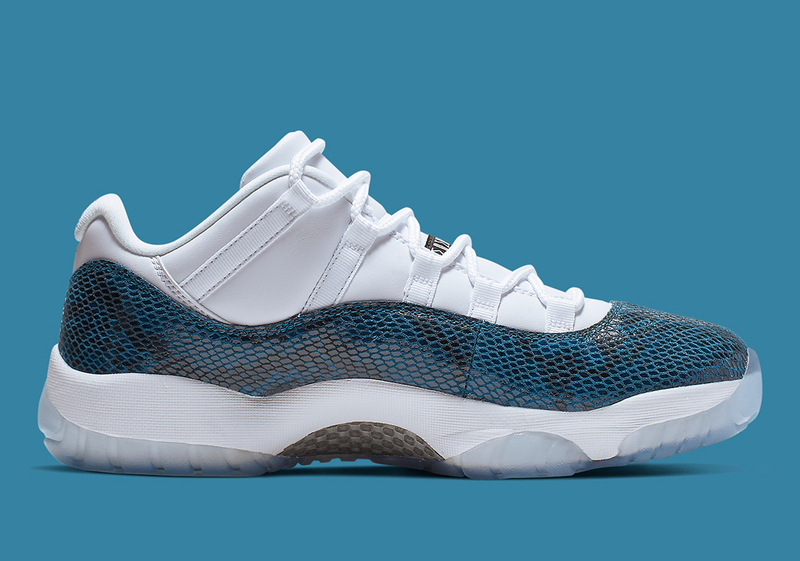 Enjoy a full set of official images below, and expect these snakeskin-equipped Air Jordans to release on Nike.com and at select Jordan Brand stockists April 19th with a slightly elevated $185 price tag to account for their choice materials.